Giving Tuesday is just three weeks away, and we’re getting excited! Why? Because this year will be our first to participate in the #GivingTuesday campaign. 2. and the kick off of our 2019 campaign to raise funds to provide 250,000 pairs of eyeglasses! Keep sharing our posts, our newsletter, liking our Instas, or retweeting our tweets. It all works. And because you are doing it the world is learning about who we are and what we do. You are making our goals a reality by simply spreading the word. Thank you! We simply couldn’t do it without you. Our second goal? Well it’s related to the first. We all know many hands make light work, right? Such as this graphic shows us…..
Of course if you are new to this blog (welcome) you’ll want to know exactly how we plan to do this. How exactly is it possible to deliver 250,000 eyeglasses to those in need of them? It’s simple. 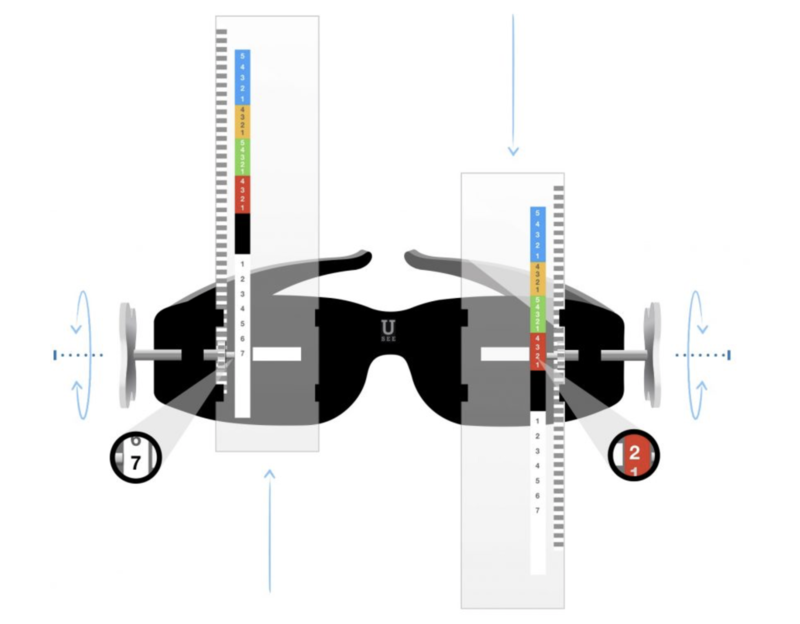 We use a clever tool to diagnose a person’s eyeglasses prescription and give them eyeglasses. On the spot. It’s called the #USee and it’s revolutionary. It’s also pictured below because quite frankly it’s easier to show you then to tell you. For all of it’s wonder, the #USee suffers from an inadequate 20 second elevator speech. In our case a picture is truly worth a thousand words.